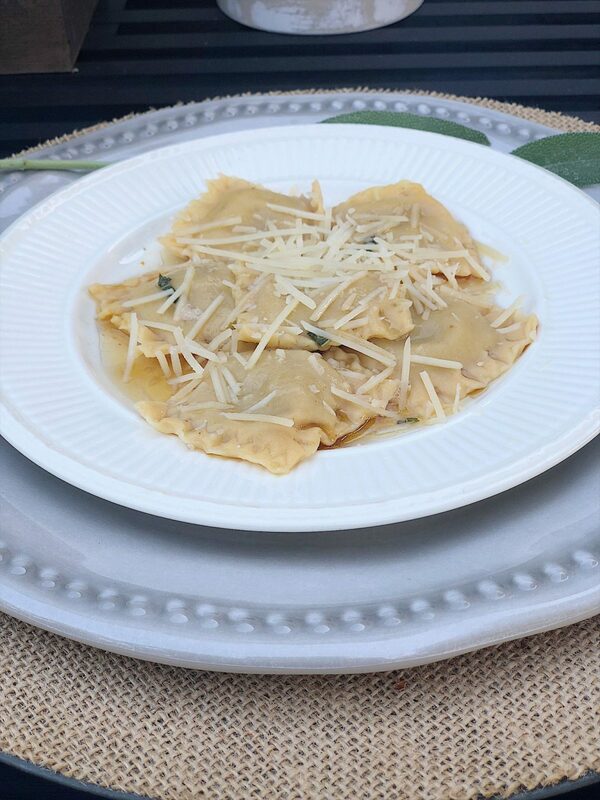 Pumpkin ravioli with Sage Brown Butter Sauce. Yum. 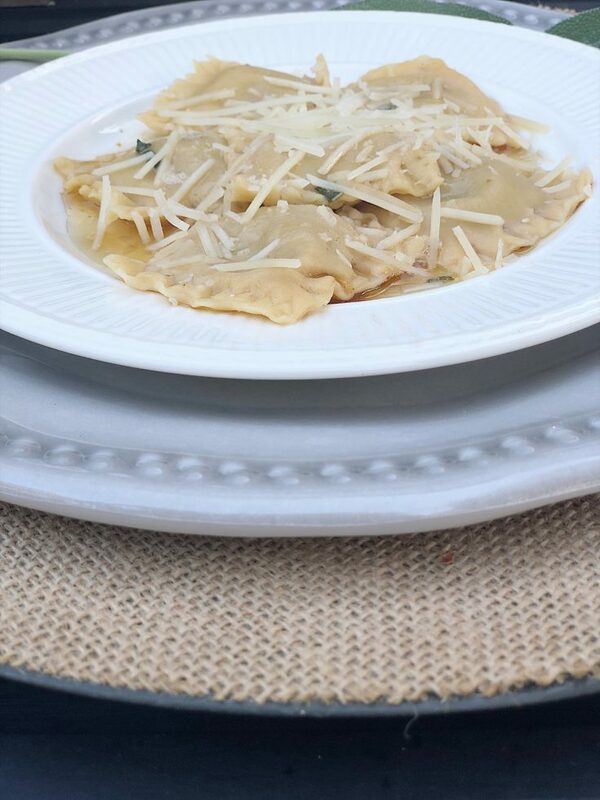 I love Pumpkin Ravioli with Sage Brown Butter Sauce. Especially when the pasta is homemade. So today I got out my Kitchen Aid mixer and made some fresh ravioli. And I didn’t even use a recipe. The first time I made homemade pasta it was revolutionary. I could not believe how soft, delicious and tasty it was. Ever since that day, I think I have cooked with “boxed pasta” about three times. Making homemade pasta is so easy and worth the little effort it takes. We usually cook half of the pasta right away and then dry the rest. I have a pasta drying rack that I put on the island and leave on the island all night to dry. The pasta will break and fall as it dries. Just store in a zip lock bag and use it anytime. The dried pasta tastes just as good as the fresh pasta! The ingredients for the Pumpkin Ravioli with Sage Brown Butter Sauce were simple. In fact, I had all of the ingredients in the pantry along with the fresh sage in our garden. 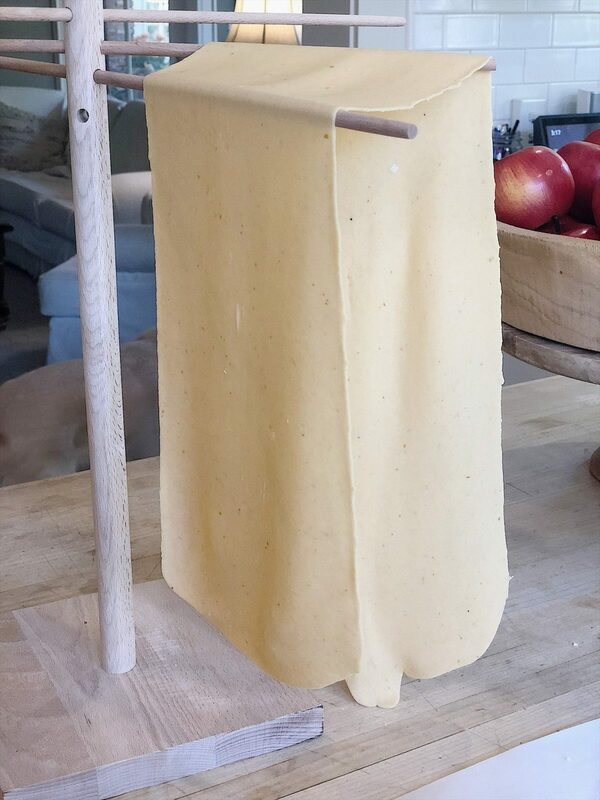 I have been making fresh pasta for a few years now. And I love it. When I make fresh pasta I use my Kitchen Aid mixer and the pasta attachments. 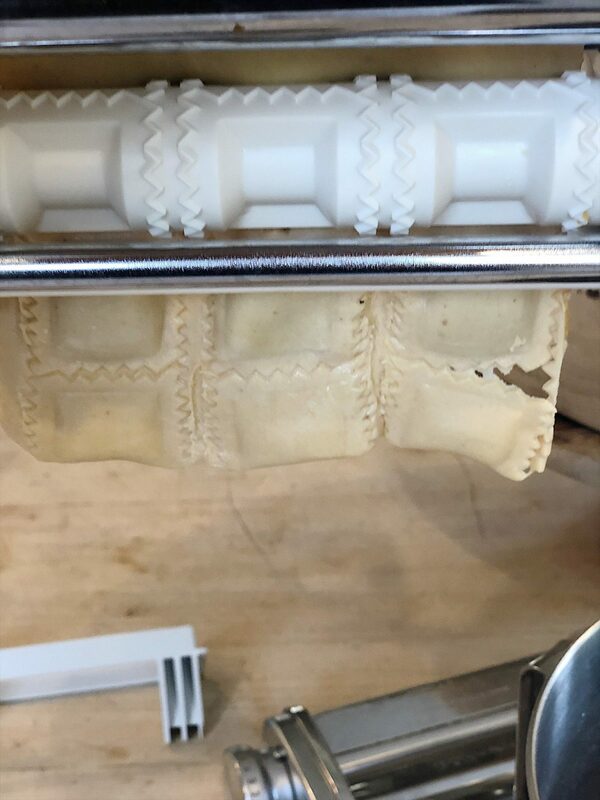 Today I used the flat pasta roller attachment and the ravioli maker attachment. 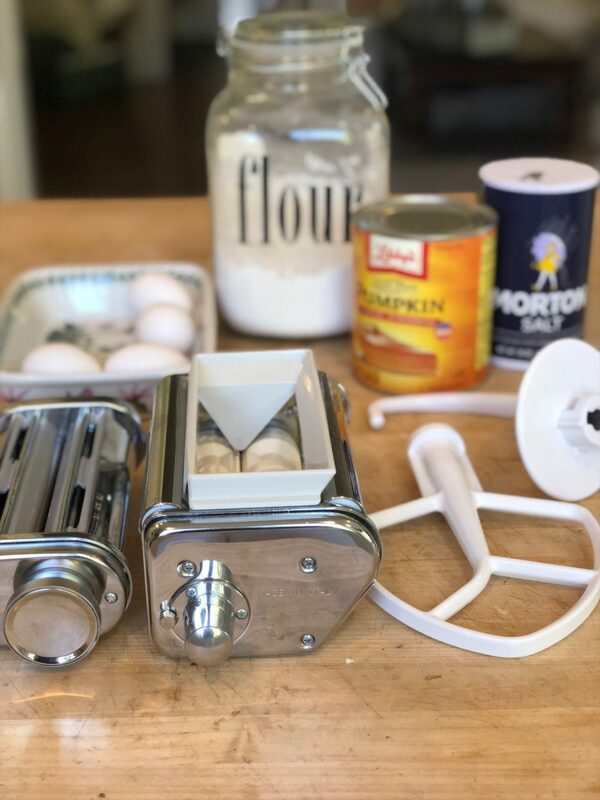 You can also use a hand crank machine or a rolling pin and a ravioli press. It doesn’t matter! I tried something different today and I added some of the pumpkin to the pasta (in place of the water). That’s why it looks a bit orange. Making the pasta is simple (the recipe is below). Once it is made, form the dough in a ball and cut it in fourths. Refrigerate for twenty minutes. Next, put one section of the pasta into the machine and roll it out. Make the pumpkin puree by mixing the pumpkin with the spices, parmesan cheese and sugar. Place the pasta and pumpkin mixture in the ravioli attachment and form the ravioli. Let the pasta dry for at least thirty minutes before separating into squares. 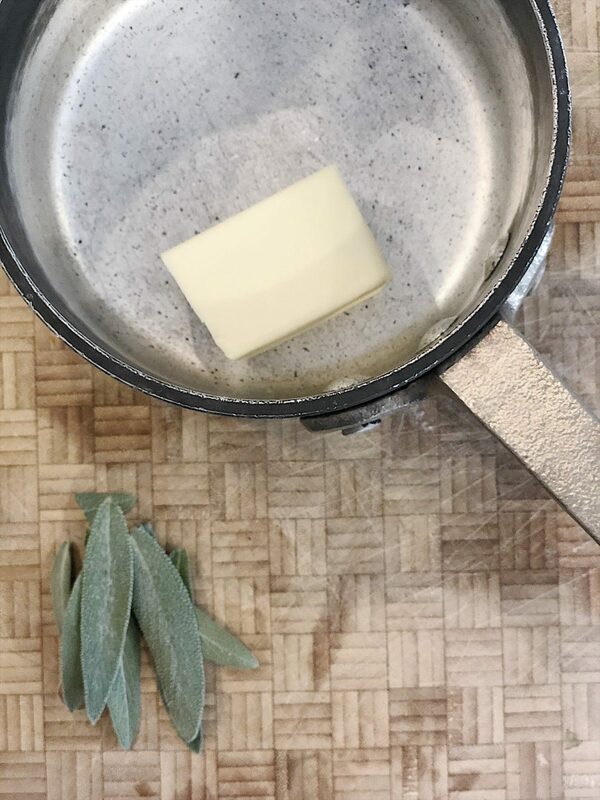 Make the brown butter sauce with fresh sage. 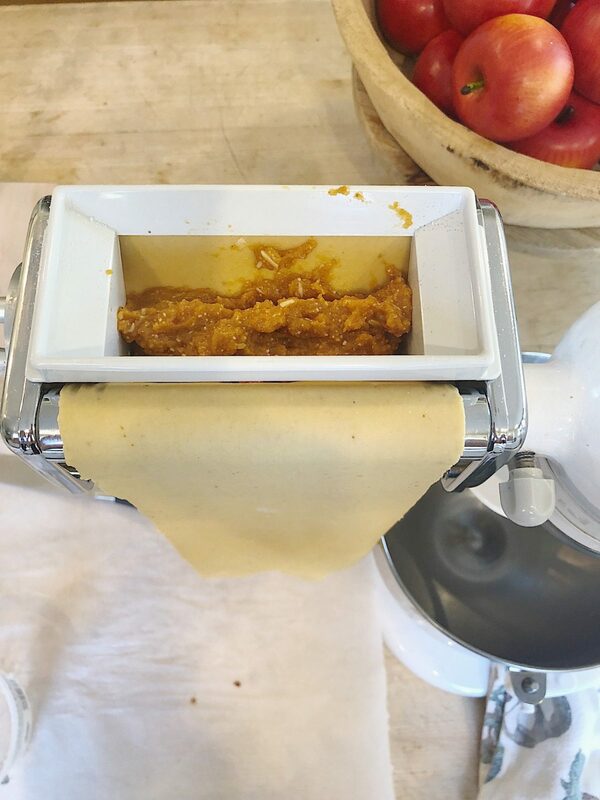 This is a fabulous homemade pasta recipe with pumpkin and brown butter sauce. 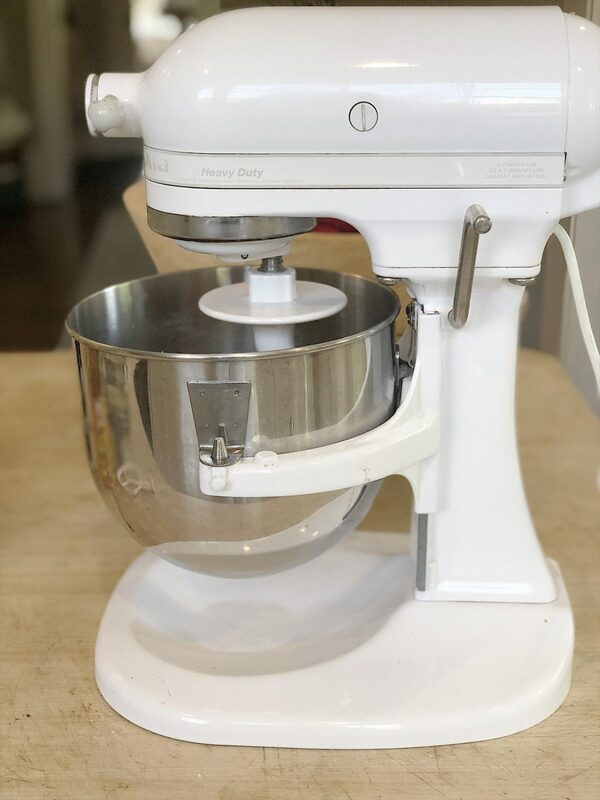 Mix all ingredients in a Kitchen aid mixer. Mix for one minute. 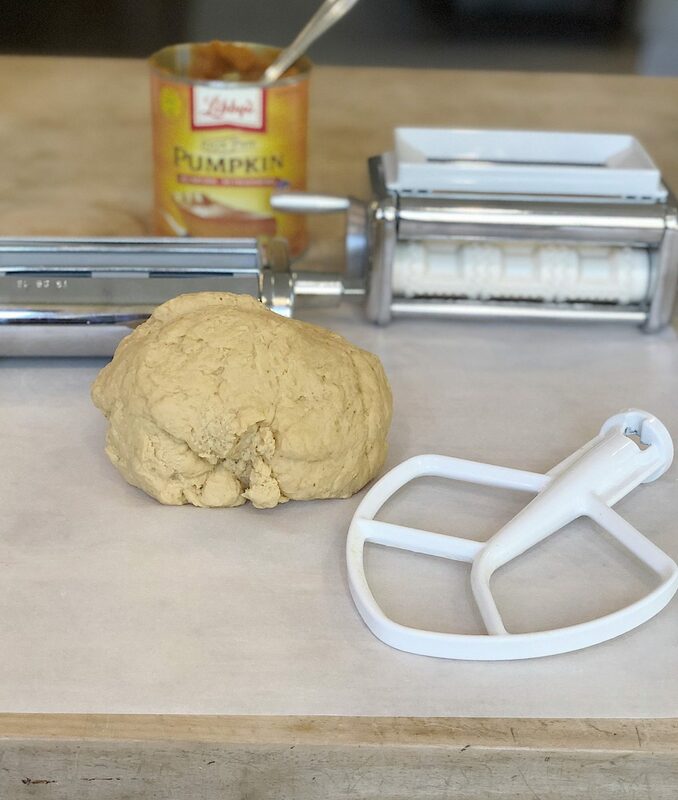 Change to the dough hook and run for two minutes. Remove, form into a ball and refrigerate for twenty minutes. Remove, and run through pasta attachment per directions provided. Mix pumpkin puree, cheese, sugar and spices in a bowl. 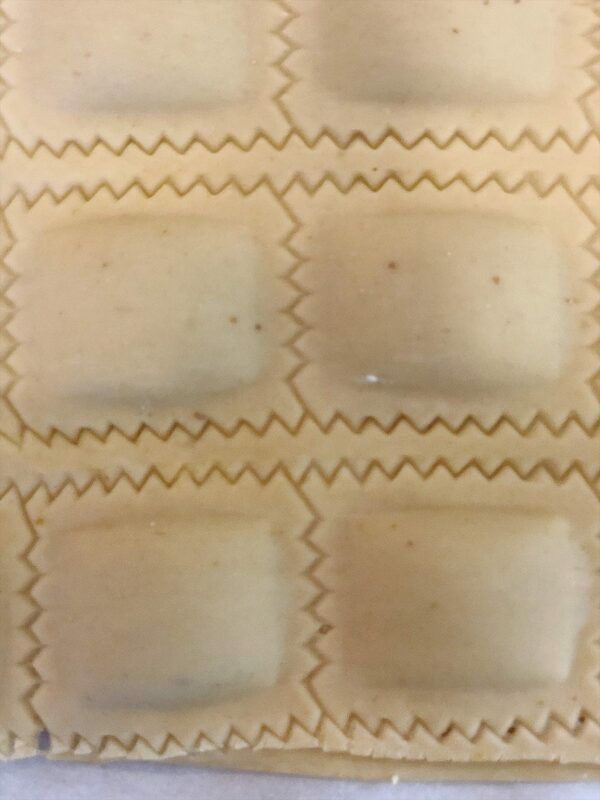 Make ravioli with pasta attachment. Cook ravioli and serve on plate. Top with butter sauce and parmesan cheese. If you are not interested in making homemade pasta, you can also use purchased won ton skins instead of pasta. Just fill with the pumpkin filling and pinch around the edges with a fork. Pingback: 12 Absolutely Amazing Pumpkin Recipes -- perfect for Fall!